2) 500 g / bottle, 20 bottles / box . 3.Shape: colorless or white cubic crystal. The dissolved situation: highly soluble in water, ethanol, acetone and glycerol, when light yellow aqueous solution, and precipitation of free iodine. 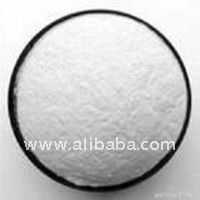 4.Uses: used in the production of organic compounds and chemical reagents, such as. We eat the so-called edible salt is iodized salt in the general (pure sodium chloride) addition of potassium iodide or potassium iodate (in the ratio of 1/20000). Potassium iodide in the field of dermatology have some special purpose. Its mechanism was partly due to enhanced dissolution of necrotic tissue and digestion. Potassium iodide is also anti-fungal activity. Clinical use it to treat disease Sporothrix, coloring budded disease, persistent erythema nodosum and nodular vascular go far. If you are interested in our products,just feel free to contact us.